The ICN to eICN exchange will remain 1:1 for the entire period up to December 31, 2019. The ICN to ETH exchange rate has changed and is now 0.00165 ETH for one ICN token. This exchange rate is valid until January 31, 2019. Starting February 1, 2019, the ICN to ETH exchange rate will be 0.00125. 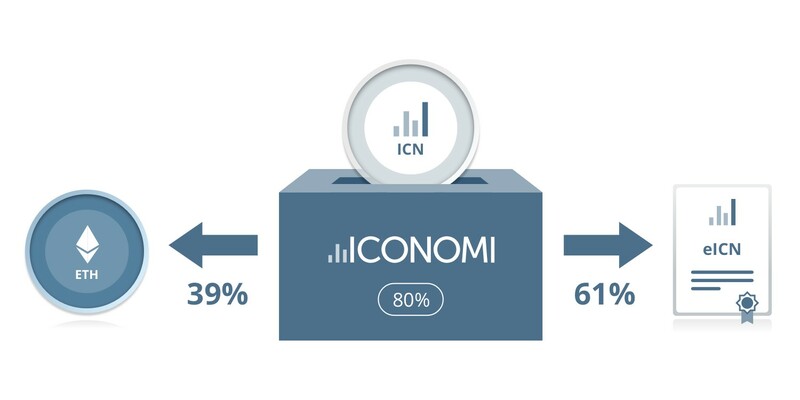 We encourage you to act now and exchange your ICN on the ICONOMI platform. After December 31, 2019, exchange of ICN tokens will no longer be possible. All ICN tokens still on the ICONOMI platform on December 31, 2019 will automatically be converted to ETH at the exchange rate valid at that time. We encourage all ICN holders who have not yet taken action to start the ICN exchange process now!